From our beginnings on 21 King St. in downtown St. Catharines, Niagara Glass has been a respected part of the community since 1938. Family owned and operated for over 78 years, we provide assurance that our customers will be comfortable, confident and can approach us anytime for consultation in the ordering process. Our continued dedication to servicing the Niagara Region and our commitment to providing our customers with quality products, excellent service and professional workmanship helps to solidify our future endeavours. 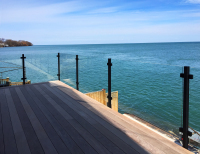 Niagara Glass Ltd. is known across the Niagara Region as one of the leaders in glass and related industries. Having the opportunity to work closely with our residential and commercial manufactures allows us to offer home owners, general contractors and developers the necessary services to help with their specific needs in the construction world. With the extensive experience of our staff and technicians, we offer our clients an integral form of reliability that is crucial when completing a project. At Niagara Glass, we take pride in being a part of the fabric of our community. What sets us apart is that we offer 3 different divisions (Service/Repairs, Residential and Commercial). Much of our work is displayed throughout the Niagara Region and through these divisions it shows our commitment to providing solutions to the customer’s specific needs. 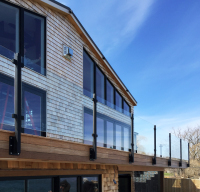 From replacing glass in a picture frame to installing large curtain walls, we have been providing professional service as well as quality craftsmanship to the Region for over 78 years. We also offer 24 hour Emergency service. Feel free to navigate through our website to see more.